A flag says a lot about a country. I challenge you to find a color, shape or image placed haphazardly on one. Flags tell a story, and ofter a glimpse of a country's history. But while flags are a source of pride to many, they can symbolize hatred for others. This was the case in the state of South Carolina, the scene of a row (this is an attempt to use a British idiom - how'd I do?) in 2000 between supporters of the Confederate flag, who saw it as a symbol of state pride and those who opposed it, citing it as an embodiment of racism at the highest level of state government. 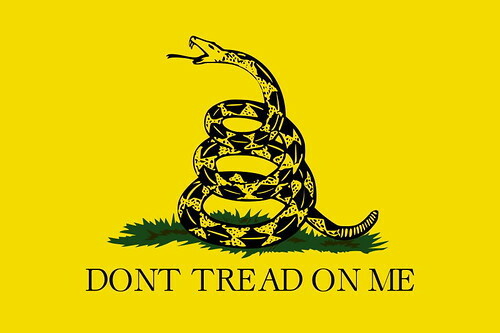 More recently the old Gadsden flag (shown below) has been take up by the tea party in its infancy as a symbol of conservative ideologies. Whatever your political views, what a flag represents evokes strong feelings for those who fly it. While in the scheme of history, flags change frequently. The flags of the world carry a certain sense of permanence with them. For this reason it's important we, as geographers and students of the world, take notice when a flag, and therefore a country, undergoes a major change. Malawian President Bingu wa Mutharika "successfully" implemented a new national flag at the end of July. Mutharika claims that the fully exposed sun "reflect(s) the modern Malawi" and adds that Malawians should be happy about the changes implemented because "Malawi is developed and it is still developing compared to the colonial era". The new flag is shown on the left below, the old flag on the right. While this seems noble and positive on the surface, its implementation has been extremely controversial. Comments written in English on the Nyasa Times articles about the new flag show a strong stance against the new flag. Despite Mutharika's claims, Malawi still has a long way to go to attain true economic competitiveness. 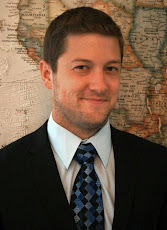 Malawi ranks 28th on Foreign Policy's failed States index, two higher than Eritrea. The costs of replacing flags is high and it is even illegal to display the country's old flag. The government should be focusing resources towards economic growth and the well-being of it's citizens. Instead, they are wasting money to make unsubstantiated claims about development that cannot be backed up. They are in fact spending money to cover up where their policies have failed.